Welcome to the Josiah Venture giving page. Josiah Venture serves in 13 Central and Eastern European Countries with support staff located in the United States, Canada, the United Kingdom, and in the Czech Republic. Our desire is to see passionate followers of Jesus Christ with a vision to reach and disciple their generation throughout Central and Eastern Europe. To accomplish this, Josiah Venture mobilises full-time missionaries and initiates projects designed to reach the young people with the gospel and train a new generation of leaders. If you would like to partner with Josiah Venture, we would ask that you prayerfully consider giving to one of the missionaries or projects listed on the right. Josiah Venture United Kingdom (JVUK) is registered with OSCR – the Office of Scottish Charity Register. As a faith based mission, our team members rely on individuals and churches whom God prompts to give toward their support. If you would like to partner with the JV team in one of our projects, or give to one of our staff members, this can be done with a few clicks from this website. You may visit People and Places to find them or, you may search for one of our staff members by entering their last name. Giving a general gift to Josiah Venture allows us to quickly direct funds to those people, programs, and projects that are most needed. Each country represented by Josiah Venture provides several projects that are targeted towards raising up the next generation of youth leaders. We welcome you to visit one of our countries to learn more on how you can partner with them. 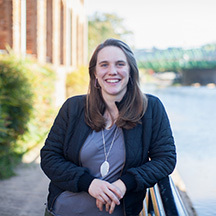 Rachel Morris Rachel is excited to live in Slovenia full time seeking to connect and build relationships with the youth beginning in the fall of 2019. Sasha & Nataliya Dubovyk The Dubovyks are passionate about equipping young leaders with Josiah Venture in Rivne, Ukraine.